Michael Dell’s company, Dell Computer Corporation went private in 2013, after closing a $25 billion deal. He was the youngest Fortune 500 CEO at the age of 26 and the company ranked among Top 10 on Fortune magazine’s Global “Most Admired” list. 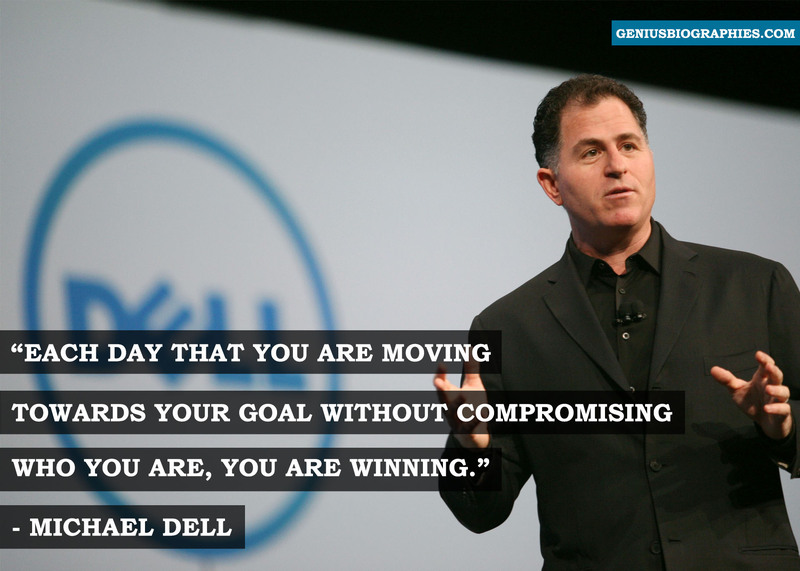 Michael Dell’s love affair with computers started in his childhood, and so did his love for business. When Dell was 19, he opened up an IBM PC. This resulted in two discoveries. First, that none of the parts were manufactured by IBM. Second, that the cost price of the machine was only $600, but was being retailed for $3000. Using the same components as IBM, he built his own system and started selling. He was able to sell his PCs to established corporations at a 15% discount compared to IBM. He expanded this idea and with $1000 as his start-up investment, he procured a vendor’s license and started Dell Computer Corporation. But this was not the first time Dell had recognized an opportunity to do things better. When he was merely 8 years old, he tried to procure his high school diploma by appearing for the ‘high school equivalency exam’, so that he can get into business soon! When Dell was 12, he embarked upon his very first business venture. He created his own stamps auction as he wanted to commercialize something that caught his fancy at that age. He asked his neighbours to allocate their stamps to him. He advertised them as “Dell’s Stamps” in “Linn’s Stamp Journal” and mailed out a hand-typed, 12-page catalogue. This endeavour earned him a solid $2000 and the lesson that dictated his future business style: The rewards of eliminating the middleman. When his company started becoming successful, he left college to manage his company full-time. His philosophy of ‘direct selling’ paid huge dividends. Dell was able to maintain a minimum inventory, focus on speed and execution, and sold directly to the consumer, bypassing the sales channel. Combine your passions and create a job that you love doing. Recognize opportunities to do things better. Put your customer at the focus of your business.